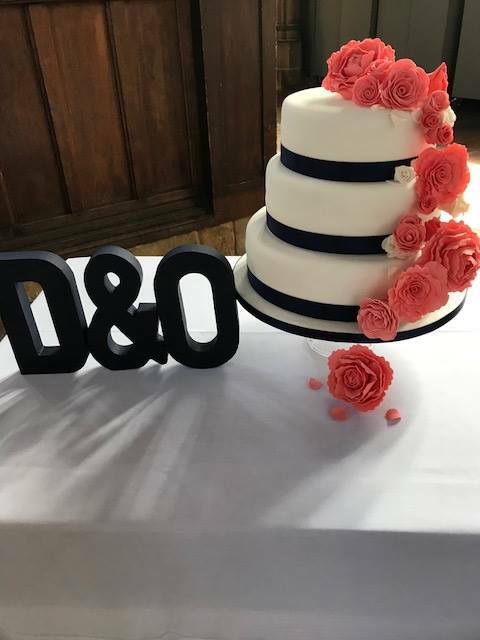 Ollie and Dave’s Wedding cake. 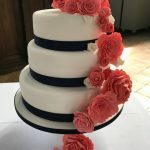 Three tiers of sponge cake, top and bottom tiers are vanilla sponge with vanilla bean cream and the middle tier is a moist lemon with lemon buttercream. 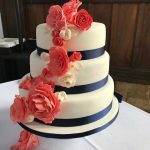 Decorated in soft white fondant with hand made peonies and roses in a mixture of coral and ivory colours. 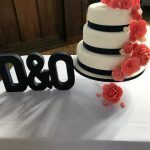 Congratulations to you both on your marriage (and the weather! ).